Get all of your Ladies Traditional Oktoberfest Dancers Costumes, XL & Plus Sizes, German, Austrian, Bavarian, Czech, Tirolean, Polka Dancers Attire & Others. Get the Folk Dancers & Traditional International Costumes as well as Oktoberfest Polka & Dance Attire and all the accessories you need. We are the One Stop Shop for Oktoberfest Plus Size Ladies and Men’s Outfits. Get complete costumes or just the pieces you need or the accessories you need. 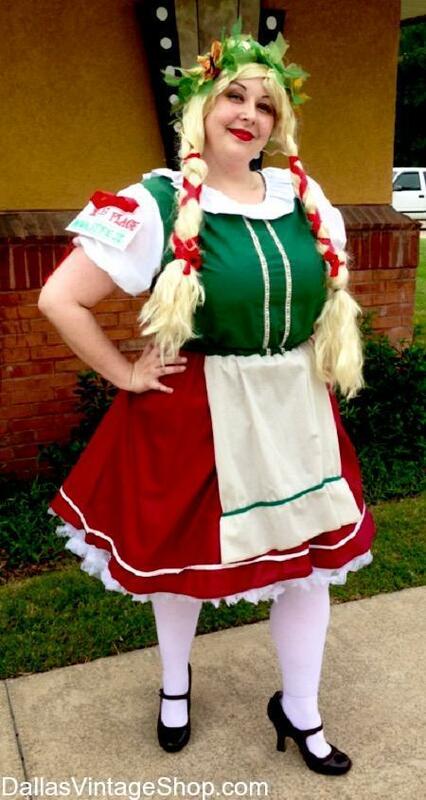 We have the largest collection of Oktoberfest Garb, Costumes & Accessories in the Dallas, DFW or North Texas Area. We are open all year.